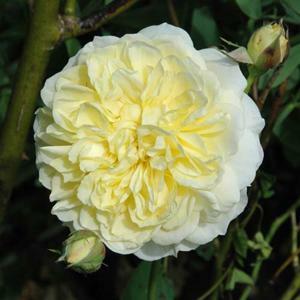 Large, double, flattened and quartered, creamy yellow flowers, the outer petals fading to white. Repeat flowering and fragrant. Robust upright bush.